Discussion forum for Odell Beckham Jr.'s fans (LSU, NCAAF). Please post trade rumors, injury reports and amateur scout suggestions. Please do not post inappropriate comments, this is a friendly forum for fans. If you see inappropriate comments, then please report them by clicking the report abuse link aside the comment. Comments you post may require a paid membership to delete. 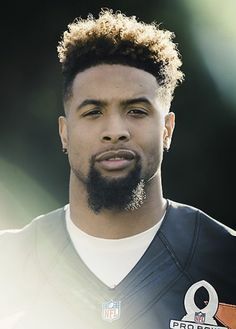 Happy Thanksgiving 2018 to Odell Beckham Jr. & to all of his loved ones. Happy Halloween 2018 to Odell Beckham Jr. & to all of his loved ones. My son is obsessed with Odell Beckham he plays football and he chose number 13 because he wants to play as good as him one day! This is his second tackle season playing football! It's his dream to meet Odell one day! He is 7 years old! And loves football and O'dell!